Staying up-to-date on routine maintenance is a surefire way to help your Honda Fit run for years to come. In fact, the new car warranty that came with your vehicle requires you to follow the Honda Fit maintenance schedule and receive regular service from an authorized service center. To help drivers like you in the Fountain Valley, Costa Mesa, and Newport Beach area take better care of their vehicles, follow the recommended Honda Fit maintenance schedule below. For more information, contact your local Honda service center. Once your Honda Fit reaches 7,500 miles, you’ll need to bring it in for its first oil change. In addition to changing the oil, your service technician will change the oil filter, inspect the brakes, check the fluid levels and tire pressure, and rotate the tires. Repeat this service every 7,500 miles to help your Honda Fit run smoothly. In addition to the maintenance required every 7,500 miles, the 15,000-mile service interval requires the technician to conduct some other much-needed inspections and part replacements. For instance, you’ll want to have the wheels balanced and the air filter replaced. Inspect the shocks, struts, and crankcase filter. Check fuel and brake system. Inspect the spark plugs and replace if necessary. When your Honda Fit approaches 30,000 miles (or any interval of 30,000), you’ll need to schedule a service appointment for some regular maintenance. The technician will replace the oil filter and the engine oil in addition to the engine air filter and coolant. This maintenance interval is also when the air conditioning filter is replaced along with the fuel filter and the spark plugs. But service doesn’t stop there. Your 2016 Honda Fit will need to have the steering wheel linkage and boots inspected, the parking brake adjusted, the brake system inspected, and a number of other component inspections to make sure that everything is in good working condition. Looking for More Service Intervals? Above you’ll find general service recommendations for three mileage intervals: 7,500, 15,000, and 30,000. Repeat the service listed below each interval every time your Honda Fit reaches that amount in mileage. So, for example, you’d want to get all of the service listed under the 7,500 interval when your Fit reaches 7,500 miles and again when it reaches 15,000 miles, and again when it reaches 22,500 and so on. 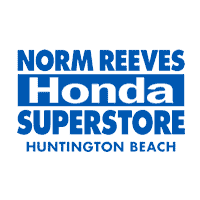 For more information about service intervals and what service your Honda needs, contact our service department at Norm Reeves Honda Huntington Beach. Your Honda Fit is equipped with a sophisticated piece of technology known as the Honda Maintenance Minder. This system monitors performance statistics and other metrics to determine when your Honda needs service. When a particular service is needed, a Maintenance Minder code will appear on the multi-informational display. If you’re in the Fountain Valley, Costa Mesa, or Newport Beach area and your Honda Fit needs maintenance, schedule a service appointment today.